Bitcoin is the hottest new currency for those who value privacy of transactions online. There are many online stores and communities accepting bitcoin as their primary currency. All of this was made possible because of the wallet services that helped people store their bitcoins in a secured way. In this article, we review some of the popular bitcoin wallets. Bitcoin is getting mainstream and it has known to be the most common currency among those who value privacy. However your journey of cryptocurrency starts with a bitcoin wallet. Each wallet has a unique address that can store and send bitcoins to other addresses. There are many companies that offer such wallet service completely free of charge. Here are some of the Bitcoin wallets services that you can use. When it comes to Bitcoin wallet, Blockchain is the first name that comes into the mind. Blockchain wallet is available in web, desktop and app format. It has an app on Google play store and iTunes store. So you're pretty much covered on all the platforms for your Bitcoin needs. You can send, receive and convert the Bitcoin. It also has the option to create new address within the app itself. So you can manage multiple Bitcoin address from single app itself. Every transaction from the app is protected by PIN. So there is no misuse of the wallet if you lose the phone. You can also set the two factor authentication inside the app. Do note that Blockchain charges the fees on transactions to cover their infrastructure costs. This appl1ies to almost every Bitcoin wallet service in the market. 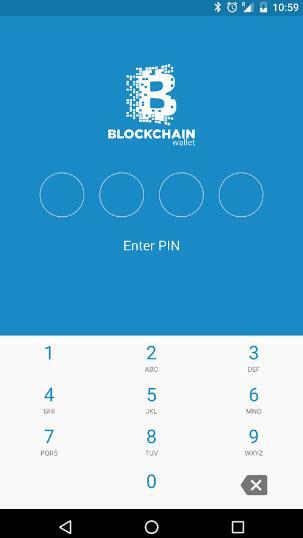 If you want trusted and reliable app for Biticoin wallet, then Blockchain the place to start. Coinbase is one of the popular and secure wallet on the web that also supports Bitcoin trading. They recently also released the Etherium storage and wallet feature as well. This wallet doesn't charge anything for storing or using their service. However if you plan on converting the wallet funds, then you'd be paying the transaction costs for covering their services. 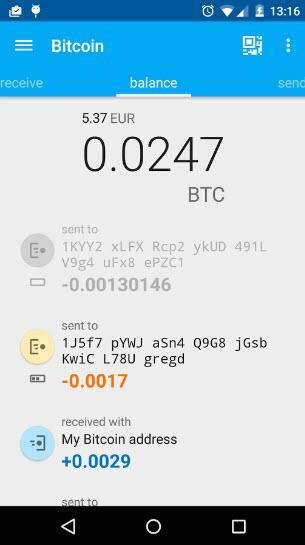 On Android, the app allows you to use the address for accepting and sending the Bitcoins. Also you can create multiple Bitcoin addresses from the app itself. The app is free to download on Google play store. You can also sign up for free and store your Bitcoin earned from faucets or exchangers. You can also check the live prices for the multiple offline currencies. You can use the app to do the equivalent conversion feature before sending the Bitcoins. However do note that they don't have the trade feature enabled for India. The trade feature is active for US, Canada and some of the other countries where the Bitcoin is recognized as valid currency. Similar to Coinbase, Mycelium is another secure wallet on Android. It allows you to sign up with existing or new wallet address in a minutes. You can also secure your app with two factor authentication. It is also possible to tie device lock as another alternative to protect your wallet. You can also set the PIN for the transaction before withdrawing or sending out money. 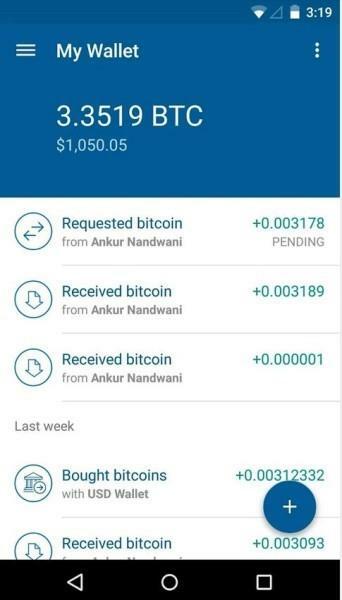 You can also name the person with the specific Bitcoin address. The app UI is very attractive and easy to navigate through for making the exchanges. It also asks for confirmation before sending the transaction, this helps avoids accidental sends. Though service is free, you'd be getting some cut in the transactions, while sending and receiving the money. The app is free to download on Google Play Store. Copay offers Bitcoin wallet account system on a website and the app. It has support for more than 150 languages and currency support. You can open multiple Bitcoin wallet address and manage them inside the app. You can verify the payment in between two accounts. Each transaction is also PIN secured. So there is less likely to be misuse for the transactions. Like most of the wallets it also charges the fee on the transactions. The fee however is relatively low compared to other wallet services out there. There is also one interesting feature of shared wallet. So you can share the wallet with the family members and seed the funds accordingly. It is open source system so you can also create extensions and integrate it with the website and e-commerce systems. You can also take the backup of the wallet and store the money. The app is available for free on Google Play Store. If you are working with multiple crypto currencies then Coinomi is the perfect app for you. App isn't much complicated and pretty easy to navigate. It supports multiple currencies such as - Ether, Peoplecoin, Bitcoin, Litecoin and few others. You can choose the currency conversion in between these cryptos as well. You can also create multiple wallet address inside the app itself. You can generate the wallet address and use it for sending and receiving the Bitcoin. Like most of the wallet services, they may charge you some fees for transaction. You can also use the custom PIN to protect the transaction. This helps avoid the theft and other accidental transfers. Based on the community reviews, this app is definitely one of the good app around for handling multiple crypto currencies. You can download the app from Google play store and iTunes for your phone. If you can't decide the which is the perfect app for yourself then you can go ahead with the Blockchain or Coinbase wallet. There are many other Bitcoin wallets supported by official Bitcoin foundation. However a lot of them are yet to mature in terms of features and community reviews. In such case, the apps listed above can be used for all your Bitcoin needs.